Starting Problems On Avensis? Solution. 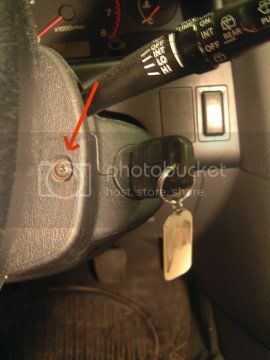 This is a short workshop for changing the ignition switch on an Avensis 2.0 1999. This is due to a faulty switch behind the locking barrel, that has been worn down so it does not alway connect. This has nothing to do with the imobilizer system or coding of keys, it is only a mechanical problem and will not be solved by re-coding the keys or such. I described the symptoms and where the part is located and they knew exactly what I needed, after a long search in their computer they came up with the part I nedded. It was not in stock so they ordered it. What I got was a part called something like Coding Unit/Computer Unit remote control (PN 89780-05011). It's a part in black plastic casing with the front ring around the keyhole (with the text ACC/ON/START) and a short cable with a connector. This is the receiver of the coded keys and it is the wrong part, also it's more expensive and doesn't solve this problem. When I called them on the phone and described the symptoms again and told them I've got the wrong part, they looked again and came back to me saying that it was the correct part I've got. After a little convincing that I had a mechanical problem and not a computer problem, he discussed with another guy and finally they found the correct part. I've had a lot of help from member GnzYza in 'Problems with starting', where you can read how it all started. 1. 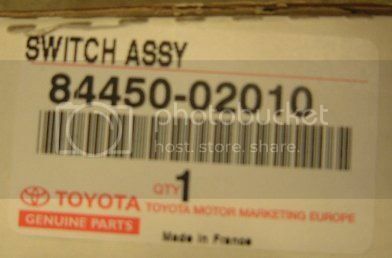 First you need to get the new part from a Toyota dealer. 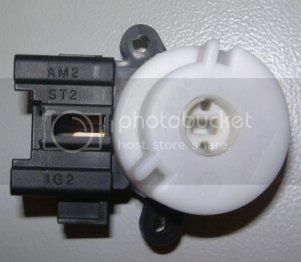 The part you need is the SWITCH ASSY, partnumber 84450-02010 (at least for my Avensis -99, but it gives you something to start with at Toyota). You'll need a cross/pozidrive screwdrive of medium size, that's all you need. ...and one to the right and also the golden screw under the cowling. 3. 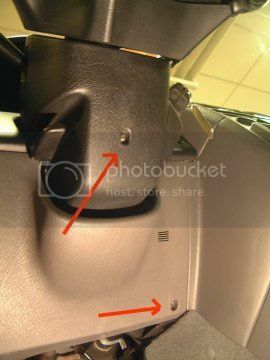 Carefully pull the dash casing a bit outwards in the bottom and slide it down to remove it. 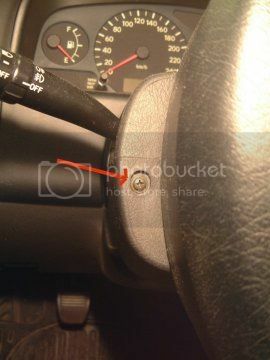 There are 3 things stuck to this part; the wire for the front hood, an airtube and a wire with connector on it. These can remain in place, just put the casing on the floor. 4. Separate the top and bottom parts of the cowling, there are only small plastic lockers holding them together now, so a little bending with a screwdriver in the joint between them would do it. The joint is on both the left and the right side, you'll see it clearly if you look close. The top one could needs not to be removed, but the bottom one does. It might be easier if you loosen the locking handle for adjusting the height of the stearing wheel. 5. Now you should have access to everything under the cowling. Don't be alarmed, it is not so much you have to care about, it is just very much cabling in a very tight space. A and B are just connectors placed on the Switch Assy, remove them, but don't disconnect them. C is the connector on the Switch Assy. Disconnect it and fold it away. Remove the two screws that holds the Switch Assy to the rear of the barrel. One is easy to get at, but the other one is rather tricky to access. The screws might fall off so don't loose them! Once they are removed, pull the case of the Switch Assy away from the barrel. You can't pull it off all the way, so you'll have to turn it 45 degrees and try to get it out sideways. There are no loose parts there so you are rather free to remove it any way you can. Just keep in mind how you did it since you have to get the new part in, the same way. Place the screw that was hard to get at, in it's hole on the new Switch Assy before placing it in position. It is very hard to get it in place through all cables. Now, just tighten the screws for the Switch Assy, re-connect the cable (is only one way), fit the two connectors you removed in the beginning, and you're finshed with the hard part. Fit the bottom part of the cowling again, remember to have all plastic notches in their place. 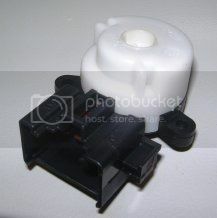 The parts will lock together nicely, fit the 2 screws behind the steering wheel again and also the bottom one. 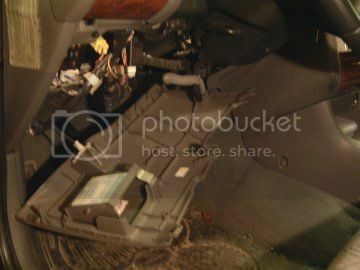 Place the dash casing in it's place; top first them push in the bottom. Screw it tight in place. This is not a hard work and it took me around 25 minutes (including taking the photos). After that my car has started without a problem. The Switch Assy costed 900 SEK (> £60) but the garage told me they would charge me around 4500 SEK (>£300) to do the change. I don't know how they'd charge me so much for this easy job and now that I know how easy it was, I'd never accept a bill from them with that amount. I hope this workshop will help somebody in the future, if so, please post you comments on it. hey Rvall, got it done then!! Nice How to tutorial you've made. Yes, I finally got it done. Thanks a lot for your help. When I was done, it turned out it could be a complete workshop, so here it is. Thank you for making this toturial Rvall!! "Hi folks, looks like a very helpful site you have here. I have a problem with my 1998 Avensis 1.8 GS. a few attempts then it turned over and started normally. P.S. Its been unusually warm the past two days." Thanks to you and this site the part has been bought (£57) and fitted in 30 mins (15 trying to get the golden screw back in under the cowling ). and replacing the side door list/fenders. On my car three of the are broken due to ice building up on them in the winter, when you open the door the ice bends in behind the fender and the edge of the fender breaks up. I'm glad that this has helped some out there. I must also say thank's to GnzYza once again who guided me in the first place. Isn't this a strange thing for Toyota? I've had 6 cars in my life time, 3 of them has been Toyota and all 3 have had this problem with the lists. No other car has had it???? On my first, I talked to the garage about it and they said that they need to change all lists for it to look nice (they weren't exactly new so from an estetic point of view, I agree...) and it would cost something around 3000 SEK (£200). Guess what I told them? :P That would be about 5% of the total value of the car. On that one I bought a special glue made for boats and rough weather and glued it in place. Not a good solution but it worked for the time being. The glue only held on for about a year, so replacing it is much better. If anyone has actually replaced them, please post how you did it. Only a short guideline is enough as a start. You made me one happy man. I found the information on this site about the problem and then got a part on ebay for a tenner. I was about to try changing it and was thinking I had to remove the steering wheel, air bag and all - not happy. Anyway I found this and finished the job in 10 minutes, seven screws out and back in again. my toyota dealer wanted £240 and a mechanic friend who I told about the heat problem thought I was having a laugh . Thanks, your instructions are through to the letter. I know the feeling you had before starting the project and that's what made me think of doing a tutorial. I have had the same problem with my Avensis 1.8 VVTI 2000 for every summer (when it was hot weather) for the last couple of years. My Toyota dealer couldn't find out of the problem. Last week we had temperatures about 30C every day, which caused a lot of startproblems. Something had to be done, so after I have seen your excellent description how to change it, I bought the part and got it done yesterday. It took 15 minutes. My wife got very impressed of my mechanical skills ! My wife got very impressed of my mechanical skills ! Isn't it nice when we can show them, why they need us? I have the same problem on my 1.8 Avensis and now feel confident in tackling it. For us tight wads, is it possible to strip down the faulty assembly and rectify the worn bit without having to buy a new switch assembly? thanks to Rvall , for the details. Have been having intermittent starting issue , that have got worse over the last two week. Search the web last night and found this posting. Been a while since I dropped in here, but it's nice to see the thread is still helping people. I thought the same as you, maybe it only ned some cleaning or something, but in my case the plastic and metal parts had been worn down so it would do no good to clean them. Only would work for another week or so. Take the little extra cost to buy a whole new piece instead, then you'll know it will work for many years on. And as you all see; if you know what you're doing, it's easy. And you don't need the costly autorepair shops for easy problems. 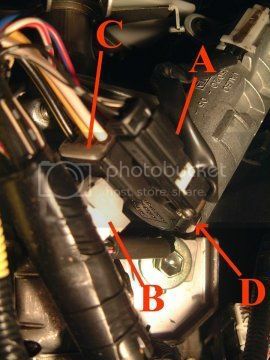 Hi I have found the problem it was a 30 amp fuse blown under bonnet with the relays, near the Battery. Now working as it should be. Had the same problem for a while now, but whigeling the key worked for me. Asked a few collegues to gimme a push to start it. Raced to the 1st toyata dealer to find out they didnt have the part, but another dealer at the other part of Amsterdam had it, so tried to race to that dealer in half an hour because they where going to close for the evening. Made it with 5 minutes to spare pfffff. my Avensis is suffering exactly the same problem, even down to the hot weather effect. Its has never actually failed to start but often takes two or three attempts. I did wonder if there was a scond relay in the circuit causing the problem, as there is a slight audible click but not as loud as a starter relay pulling in without contacting properly. The Battery is fine. Glad it worked out well in the end. That 30A fuse is causing a lot of strange things to the car. It's like they put all intelligence in the car into that fuse socket and when it blows, the car becomes just a dumb car... It's like the saying 'the wheel is spinning but the hamster is dead'. Give this tutorial a chance. I promise, you won't be disappointed. I had they starterengine replaced too and was looking for a relay somewhere. Then I found this forum and posted a question here, and got a good answer. As there are no problems posted here, I guess everybody who have tried this actually managed to change it. The temperatures have gone up (July 2008) and my Avensis is dead. It just doesn't start. Why don't the company do something about this? Why don't they fix this problem for all? I just tried getting the Switch Assy from a retailer in High Wycombe and I was directed to the dealer. Now that's going to cost some £s. 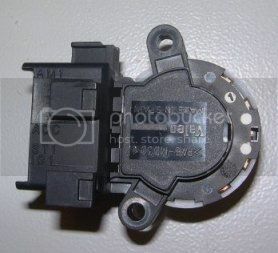 What is the cheapest way of getting a Switch Assy (84450-02010)? ...I have no idea where you can get the part where you live. But I don't think the dealer would charge you much more than £60 for the item. Compare that to the quots from the garages; everything between £300 to £500. Wow, so happy I have found this thread. Since Saturday my car (R-Reg Avensis) has been showing the same symptons. It starts first time on a morning, and last thing at night but in the afternoon and evening when it has been hot it won't start at all or eventually does on the 4th or 5th attempt (I usually have to put my foot down on the accelator as it's trying to start to get it fully kick in). I never experienced any problems until the heatwave kicked in. The only other thing that is slightly different with my car is that once it has actually started it has been fine everytime except once on Sunday when I parked up and went to pull off it stalled, I got it started again but it was only cycling at 700 rpm when usually it alters between 1000 - 1200 rpm when it is first started (I'm hoping this was just a freak occurrence and not something more serious). I'm going to try this technique as it seems to be the same problem. I ordered the part from an ebay seller It had cost £46 including delivery. They look like an ok seller and have decent feedback, also an email address (enquiries@japarts.co.uk). Hopefully this will solve my problem, we shall see tomorrow night (if the part comes in the morning). it partly sounds as the same problem. But on the other hand, you could have two different problems at the same time. 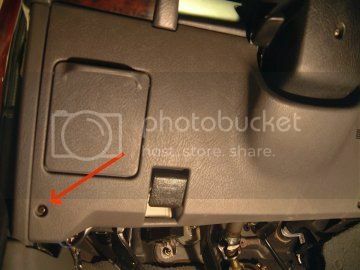 The switch could of course also be worn down in the ON-position, causing the engine not running ok, but that doesn't sound so likely. For the actual starting problems, this looks very similar to my problems before. So here I think you might have a chance to improve you driving pleasure by changing the switch as described.